I mentioned yesterday that I had a number of images coloured up but without a card home. So, yesterday when I finished up my first card, I had an idea for a second card with another MFT image. 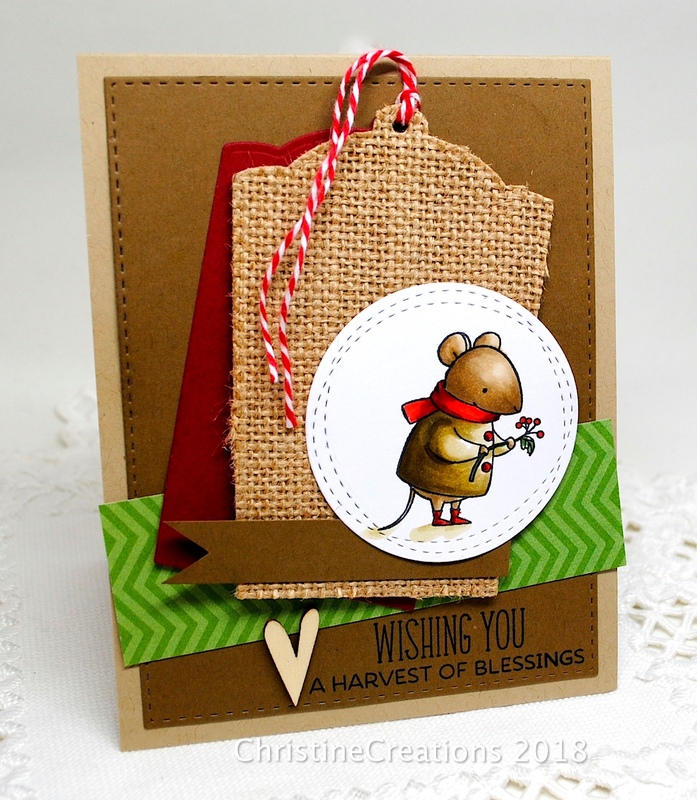 This one is MFT’s Harvest Mouse set. 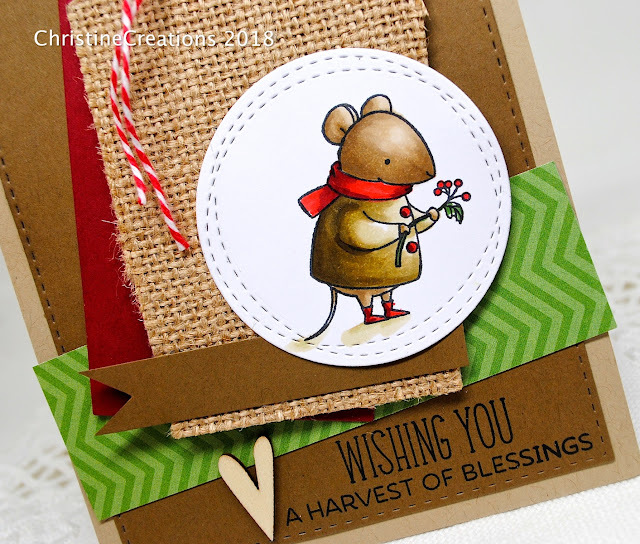 Who can resist a bundled up little mouse? Me, as long as it’s not anywhere IN my house. This little dude was coloured up with Copics, cut out with MFT’s Wonky Stitched Circle DieNamics, and then placed on a burlap and cardstock tag (TCP’s Halloween Tag Duo). I’m playing along with MFT’s Color Challenge, just under the wire. So precious isn’t he? Some twine, a wood veneer heart and a banner edge tag are the finishing details. Oh, he's adorable! You turned this darling Harvest Mouse into the perfect little Christmas mouse. Such a cute card, Christine! Oh my he is just the cutest ever!